I wanted a vector drawing that screamed "buy this tshirt for fifty bucks." Mission accomplished. id so buy this! 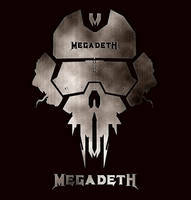 not too many good vectors for megadeth out there! im seein them in 3 days woo!!! well done soldier !!! back to headquaters !! !